The city kicks off the busiest part of the season with back-to-back megacruisers in port. 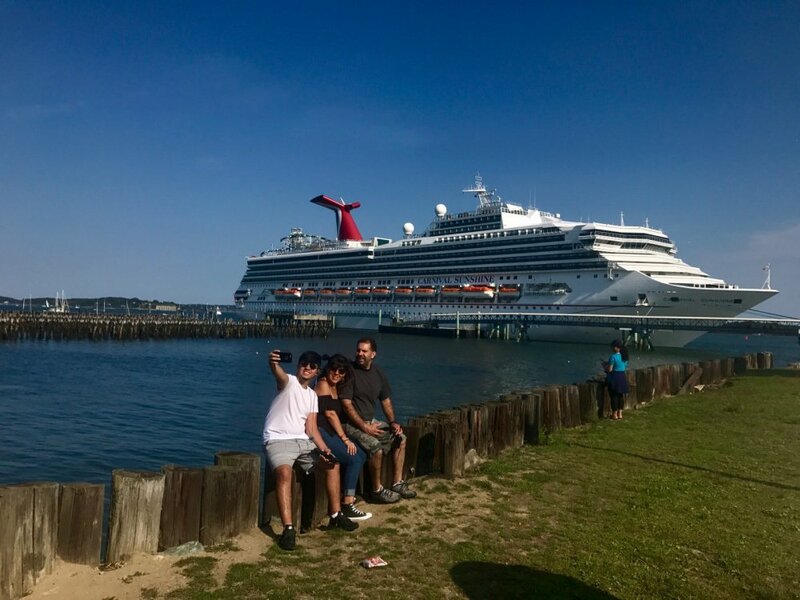 Visitors to Portland’s Old Port got an eyeful over the Labor Day weekend, with back-to-back megacruisers in port as Portland kicked off the busiest part of the cruise ship season. On Monday, the Carnival Sunshine was at Ocean Gateway with its 3,000 passengers. On Sunday it was the Anthem of the Seas at berth, one of the largest ships in the cruise industry with almost 5,000 passengers aboard. Portland’s cruise ship season is in full swing with leaf-peeper season around the corner, and there will be nearly daily cruise ships in port over the next two months. Maine is on track to have a record season for cruise ships this year, with 423 ships expected, 62 more than in 2016. In Portland, 103 ships are scheduled, compared to 77 ships last year. Cruise ship visits to Maine have almost tripled since 2003, from 151 ships to 410 scheduled in 2017. Portland and Bar Harbor, major destinations for the ships, are considering pier expansions to bring in bigger ships and more passengers. As for the Carnival Sunshine, it says “hasta la vista,” not “adios.” The cruiser will return to Portland three more times this month as it takes regular seven-day New England cruises from New York to Halifax, Nova Scotia.